Long Term Care Insurance is also known as LTC, which helps provide for the out-of-pocket expenses of long-term care that would not be covered by health insurance, Medicare or Medicaid. Long-term care is the basic assistance that an individual needs to carry out daily activities. "According to the U.S. government, 70% of people turing 65 may use a long-term care service during their lives." "Over 8.7 million people need some sort of long-term care service, including home health agencies, nursing homes, hospices, residential care communities, and adult day service centers. This number is expected to increase to 12 million people by 2020." U.S. Department of Health and Human Services estimates that 70% of all individuals turning 65 will need some form of long-term care during their lifetime. Medicare does not cover long-term care in the event of an injury. It only provides limited amounts of coverage for certain types of home health care. Long-term care costs in advance, and making a sensible financial plan, may help protect the wishes and emotional well being of the entire family. There are many statistics on long term care (LTC) and not surprising- most are compiled by the federal government. Why? That’s because so many people depend on the government to provide their LTC- it’s called Medicaid. Medicaid is a joint federal and state program that helps people with limited income and resources. Medicaid covers things that Medicare does not such as nursing care and some personal services. While Medicaid is a joint federal and state program it is administered by the states. If a person enters a nursing home Medicare will pay the first 100 days of care with some co-pays and deductibles. However, once this resource has been exhausted it’s up to the individual to cover the cost of the nursing care. Since Medicaid was designed to provide health care to the needy and low-income individuals one must have limited resources to receive it. Basically, to qualify for Medicaid an individual is limited to no more than $2000 to $3000 in assets. That means when an individual applies for Medicaid they must first “spend down” their assets to the levels that qualifies them for coverage. This is where Medicaid loses its luster as a viable way to pay for LTC. Not only do you lose your financial freedom but you also lose control over where you’ll spend your final days. Essentially you become a ward of the state. So one begs the question can only the very wealthy afford a dignified aging process? The answer is no. There is alternative it’s called Long term care insurance (LTCI). LTCI is designed for persons that have assets that they want to protect from a nursing home. Typically, if a person possess assets between $250,000 to $1,500,000 long term care insurance makes sense. 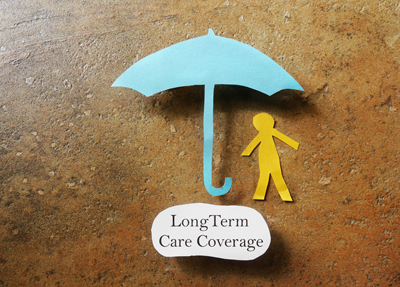 Traditional LTCI is designed to cover 3-5 years in a long-term care facility. Not unlike life insurance the earlier you apply in your stage of life the cheaper the premium. However, this is where the similarity with life insurance ends. Life insurance can be purchased on a level premium basis. This is not always the case with LTCI. As the demand for long term care is exacerbated by the aging baby boomers, costs of LTC will continue to skyrocket. These rising costs will be reflected in rising premiums which may make LTCI cost prohibitive for many average Americans. There are alternatives available, however. Many life insurance policies now have nursing home confinement and terminal illness riders. Certain annuities have LTC riders. There is also a very popular universal life insurance product that features LTC, a death benefit and return of premium rider. These particular products can be purchased with a single premium or in 5, 7, 10 and 20 year pay options. Typically, the LTC care coverage is 3-4 times the premium paid. For example, a single premium of $100,000 will give an individual $300,000 to $400,000 in LTC coverage. LTC will be an ongoing issue among baby boomers dealing with their aging parents and eventually themselves. In the current state of affairs, many baby boomers attempt to be the primary caregiver, especially the women siblings. But many don’t realize the emotional strain that caregiving involves and underestimate the effects on themselves. So, it isn’t surprising that 33% of persons that attempt caregiving develop symptoms of clinical depression. Families need to meet and discuss this fact of life and perhaps consult a reputable attorney that specializes in this area. Unfortunately, LTC is part of the cycle of life. Scott for one, has experienced the confinement and eventual death of his mother. She succumbed to the dreaded disease of Alzheimer’s. The original plan was to have his sister Kari be the primary caregiver. But Kari was spared the inevitable heartbreak due to mom’s financial conditional. Luckily their mom had the means to pay for her LTC in assisted living, a nursing home and eventually her final stay in a memory clinic. Her care was administered by professionals trained to treat her condition. Let Scott tell you his story and help you plan this very important stage in your life. He can be reached at 715-204-8375 or emailed at scotthovden@gmail.com.